Rinichi was born in Handa city of Aichi Prefecture in the 2nd year of the Taisho era as an eldest son of a sundriesman. In 1948, he went to Tokyo and became a disciple of Kawabata Ryushi. 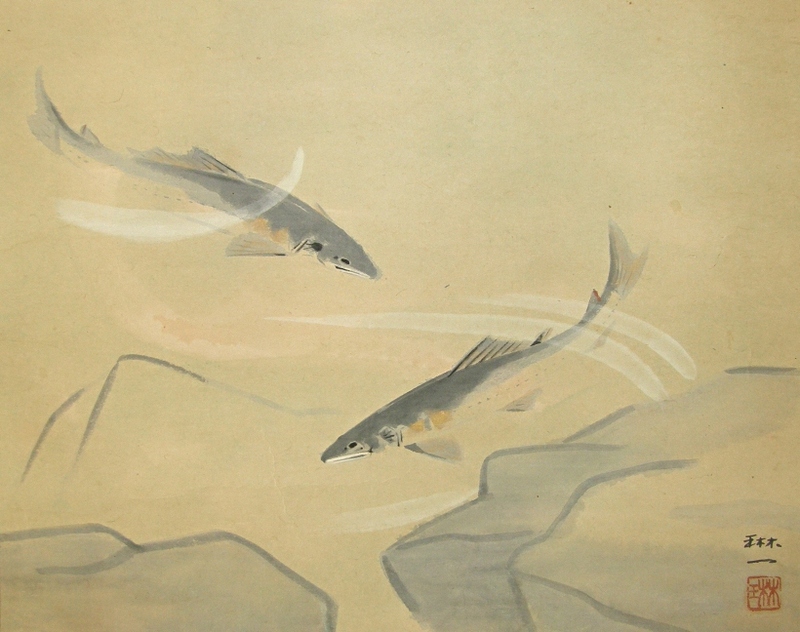 After the initiation, Rinichi standed out soon, he was accpeted for the Seiryu-Sha Exhibitions for several times. He was accepted for the Nitten Exhibitions from the 9th held in 1953 to the 13th in a series. In 1954, he went to Kyoto and became a disciple of Nishiyama Suisho. 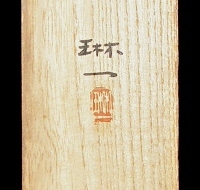 Rinichi was accepted for the Shin-Nitten Exhibitions from the first held in 1958 to the 9th in a row. In 1978, he became a teacher of the Nagoya University of Arts. He deceased in March of the 13th year of the Heisei era at the age of 89. There are many small stains by water on the mounting part in whole. However, those may be able to be seen as patterns. Several tears are also recognized at the top of the mounting. 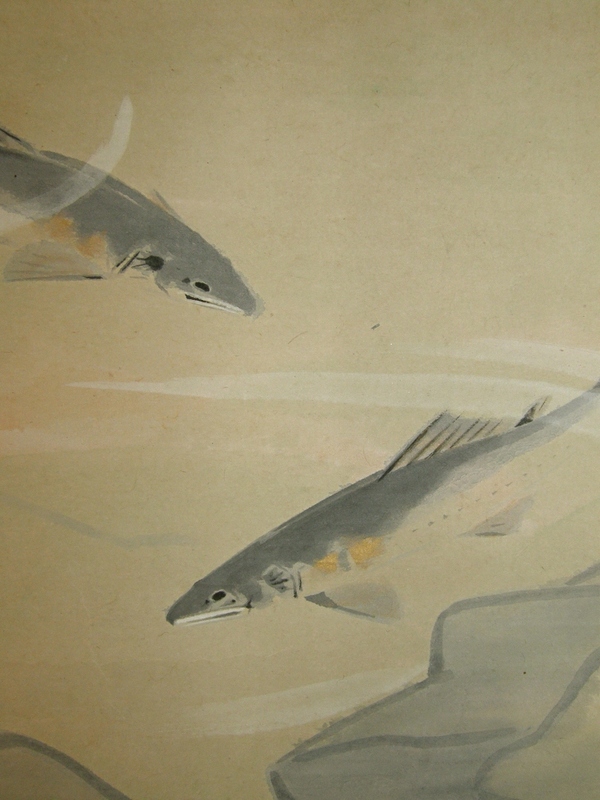 Although, Ayu Fish (Japanese Sweetfish) are drawn artistically.